The hackAIR pilot project in Norway has an ambitious objective: to get enough low-cost sensors running across the city of Oslo that street-level predictions of air quality become possible. 57 hackAIR home sensors have already been distributed – contact NILU if you want to host one as well. 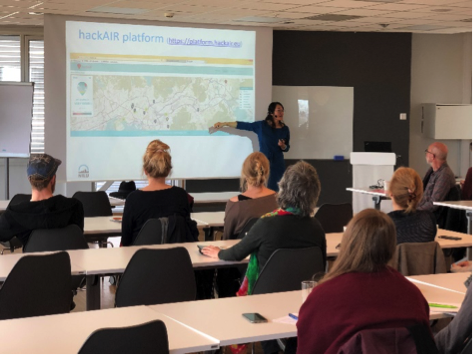 Last week, 16 citizens from different backgrounds (scientists, students, professionals working on meteorology and occupational health and other interested people) met in Oslo to build their own air quality sensors, together with the Norwegian hackAIR partner NILU. To make the process easier, the team had prepared a USB stick with the necessary software so that participants could download it from the stick and save time. 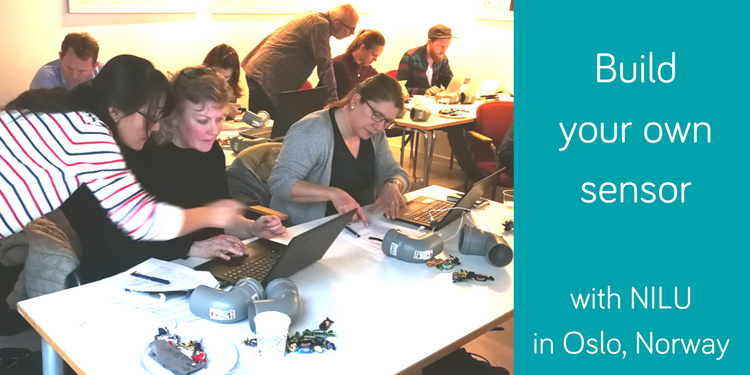 Several of the sensors that were assembled in this workshop are already up and running at participants’ homes in the Oslo region. On April 25, the hackAIR team at NILU offered a breakfast seminar at Oslo Science Park. 45 participants came: researchers, policy-makers, entrepreneurs and university students. Hai-Ying Liu presented the hackAIR platform with its features, the hackAIR app and the different air quality sensors. The assessment results of the performance of the sensors that are currently researched in Oslo were also part of the presentation. The seminar participants engaged in a lively discussion with interesting questions.